Well it appears that I don't know what salsa is. I've read dozens of salsa recipes. Eaten more than that. But apparently, my qualifications are not good enough. A Very Knowledgable Person in my household, on the other hand, knows better. His qualifications include a LOT of tortillas and store bought salsa. And so apparently he is much better qualified. And said Very Knowledgable Person doesn't think this dish qualifies as salsa. Salad, maybe. But not salsa. Well, call it what you will, this stuff is good. Really good. 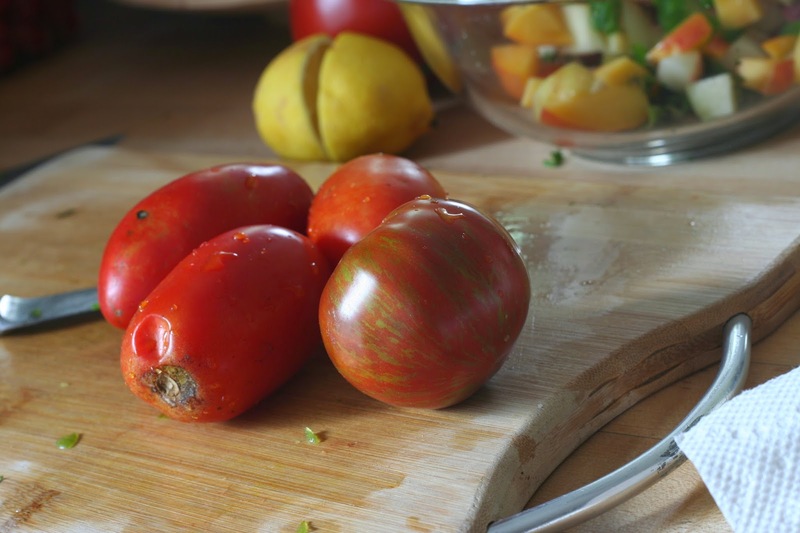 The tartness of the tomatoes. The sweetness of the peaches. The 'kick' of the jalapeño. Yum. 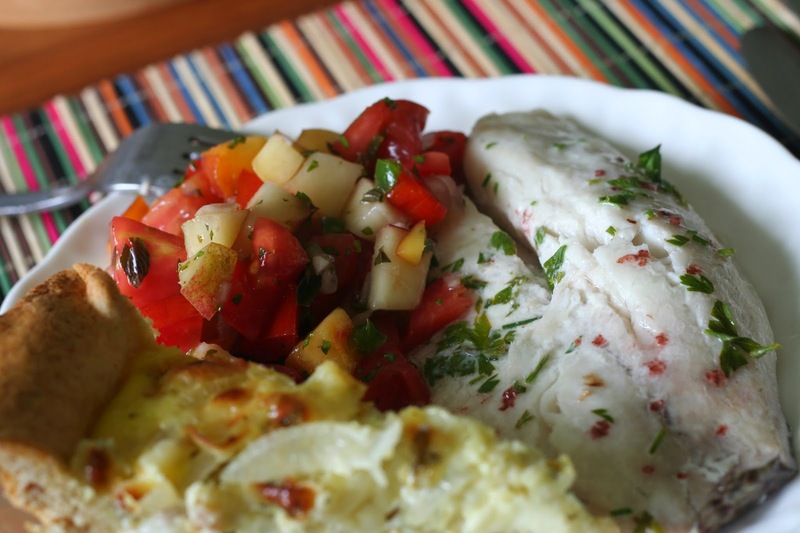 This is a salsa salad that totally elevates a simple tilapia dish. It would also work really well with grilled chicken. Or just plain. Eaten right out of the serving dish. Not that I would know firsthand or anything. This recipe serves 6. You can easily reduce it if you have less mouths to feed. 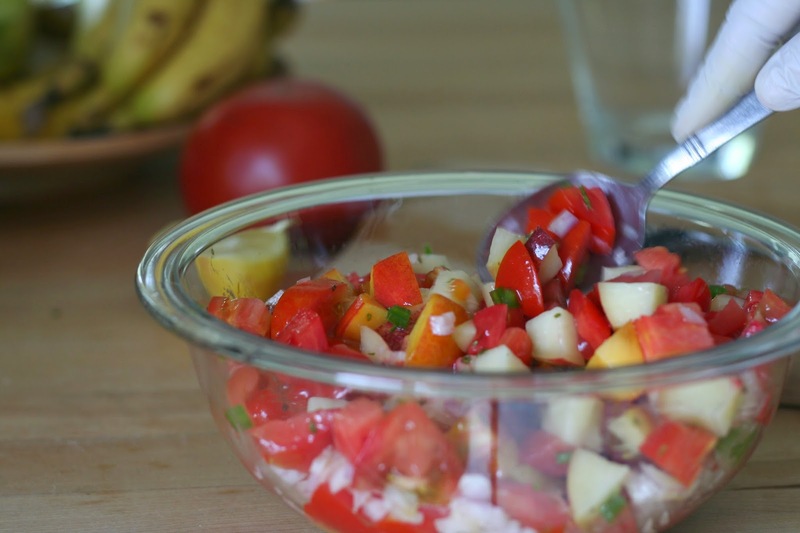 Combine the tomatoes, peaches, jalapeño, and shallot in a large bowl. Squeeze the lime over the fruit. Add in the olive oil, salt and chopped mint. Mix gently till well combined. Allow to rest for 30-45 minutes while you prepare the fish. Melt the butter in the microwave. Use a pastry brush or paper towel to spread it across the bottom of a large (preferably glass) baking dish. Rinse and dry the fish. Spread it in the buttered dish so the pieces are mostly not overlapping. 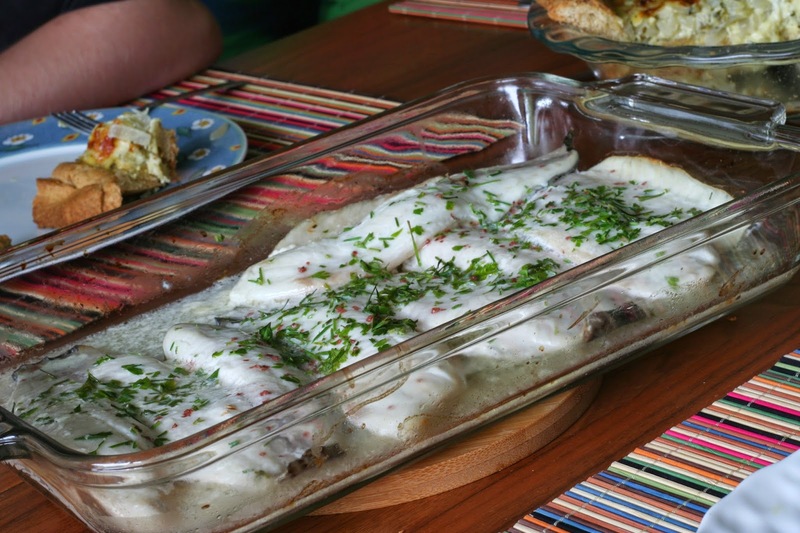 Drizzle the heavy cream evenly over the fish so each fillet gets about a teaspoon. 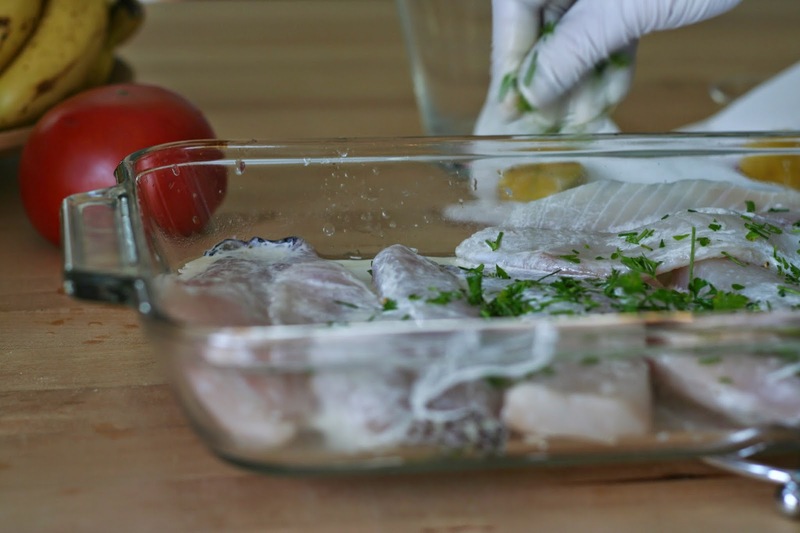 Squeeze the lemon evenly over the fish. Drizzle the herbs over all, and sprinkle lightly with some salt. 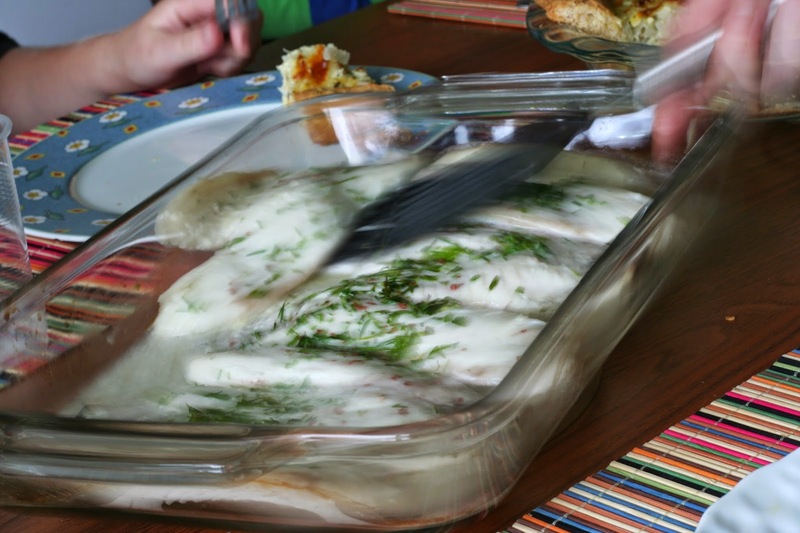 Bake at 400 for 20 minutes, until the fish is cooked through. 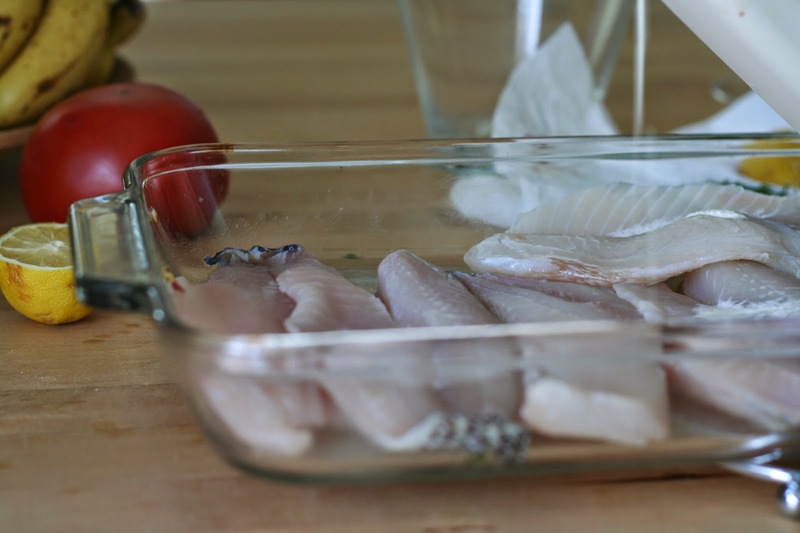 Serve the fish with salsa next to it, or mounded on top. I think it's a salsa too!! 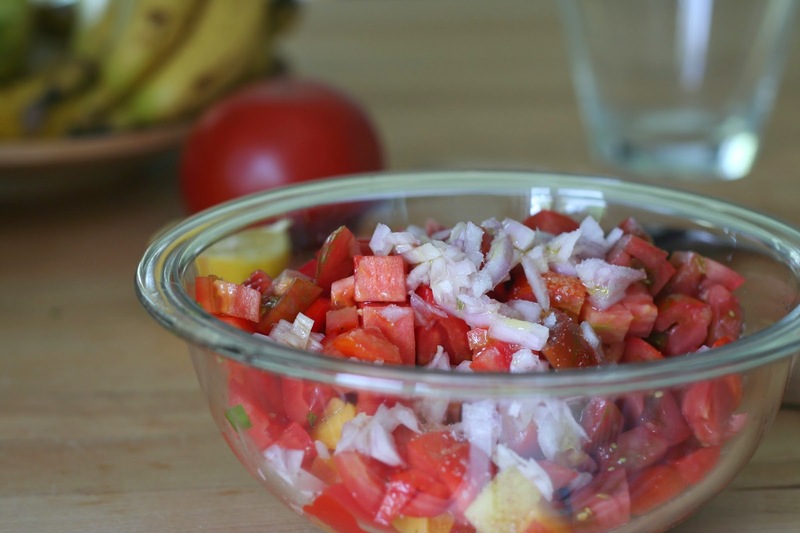 And, a very good salsa! Thank you! So glad someone else agrees with me!! This is so awesome! 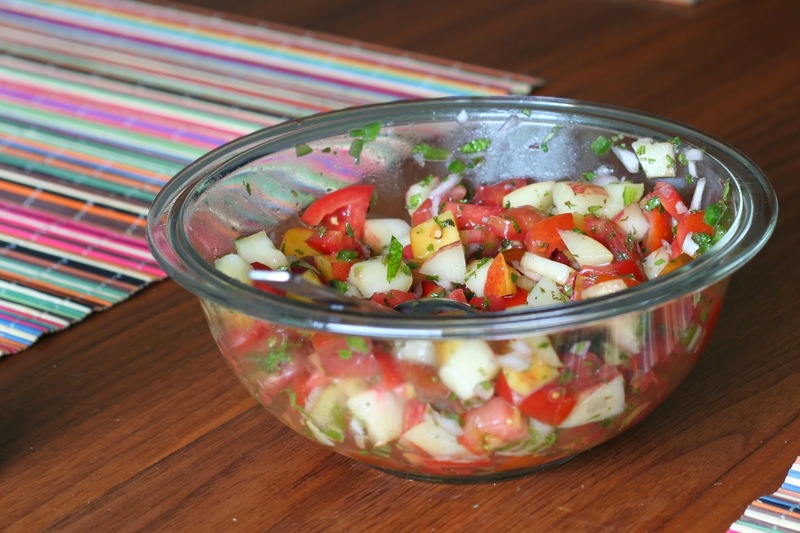 And I'm going to have to agree with your Very Knowledgeable Person on this one - the Spanish definition of salsa is sauce, not salad, but it makes it no less awesome.... :) Thanks for sharing the recipe!